I love (New York based fashion blogger) Lainy Hedaya’s style. She lives in one of my favourite places and street style is her forté. I love the way she mixes high end items with high street items. This trench coat that she purchased from Zara is absolutely beautiful and I hope it makes it to our shores. The play on textures and fabrics makes this coat unique. Monochrome of course is always a do. Check out Lainy’s blog Haute in Habit for more style inspiration. Quilted garments are very on trend this season and my must have item is a quilted sweatshirt. It’s perfect if you are into the sporty luxe trend. Dressed down with sneakers or glam with heels this sweater can take you from day to night. Ok so the beauty product or more like beauty essential that I love to experiment with is body wash. 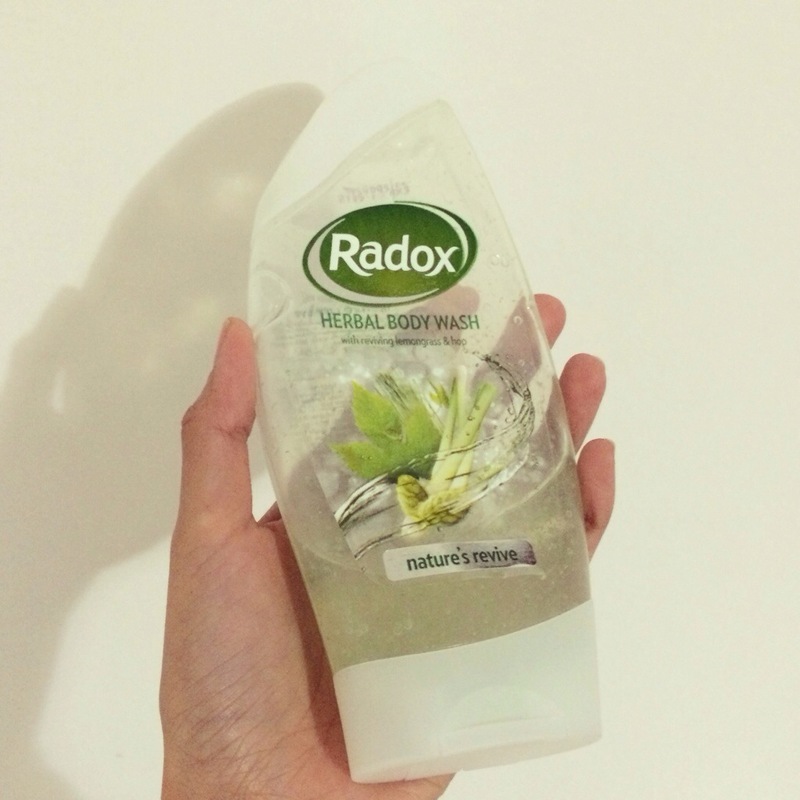 I try different variants from the Radox range all the time. I prefer something herbal or floral than to something fruity. A recent favourite is the Nature’s revive one with lemongrass. The citrusy scent is so fresh and perfect to start off your day with. And yes revival is essential especially after getting out a warm bed every morning. Okay so here’s a little something for my readers. Next Sunday I would like you to choose your top three for me. You can send one of the three or all if you want to and I will choose the three that I find the most interesting. Email me your suggestion(s) and clear pictures to : shaheeda181@gmail.com .